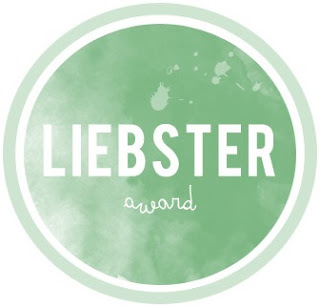 This week I was nominated for a Liebster blog award by Emileigh of Flashback Summer. Thank you, Emileigh! I know not everyone enjoys these, but since the questions for this one are different to questions I've answered before, and also I'm a fan of spreading the love, I'm going to answer the questions and pass the award along. 5. The nominated bloggers must be notified of their award! 1. I have one brother who is two years younger than me. 2. I am a hoarder of stuff. I find it really hard to throw things away if I think they still have life in them, even if I don't need them any more. I have to try and be really strict with myself so I don't end up buried in junk. 3. I think I feel the most comfortable in myself now than I have ever felt. 4. I have never been on a plane. 5. I can never leave my iPod on shuffle at parties; I like all kinds of music so you're likely to get something that kills the mood entirely - or worse still, an audiobook or a recording of one of my university lectures. 6. I am a reader. I have books stacked everywhere at the moment as I've run out of space in the book case. 7. As you may have guessed from all my moaning about the cold weather recently, my favourite time of year is summer. 8. I used to work in a hotel. I would never work in a hotel again. 9. I am addicted to Solitaire. I have it on my phone, iPod and iPad, and I will play it in any available free moment. 10. My favourite holiday ever was to Scotland. 11. 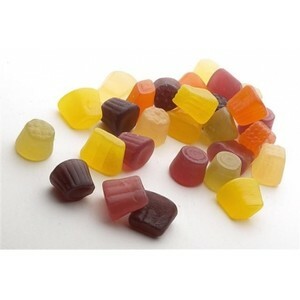 My biggest addiction at the moment it Midget Gems. I go mad for them! - Ok, I have literally been thinking about this for about 2 days and I have no idea how to go about answering this question! (we're off to a good start then...) I have seen lots of beautiful things in my life, but I don't think I could choose just one. I love flowers and sunsets and beautiful dresses.. life is beautiful! - Right now, a fur coat. Instant glamour and nice and warm for this awful cold weather we're having. - The last time I answered a similar question, I said that I'm not a big traveller but that I was considering doing a Masters degree in America. Since then, I've found one in the UK that I'm pretty sure I want to do, so I probably won't be going to America after all. - It changes all the time, I'm far too indecisive to have one all-time favourite. Favourite of the week is Pompeii by Bastille. - I would love to be able to play the clarinet again, if my wrist problem ever gets better. I have always wanted to be able to play the piano really well, though. - There isn't one I can think of that stands out over all the others. I was at home for this last Christmas, but before that for a couple of years I worked most of the days throughout the Christmas holiday. - I don't currently want any tattoos myself, but I often really like them on other people. I love really colourful sleeve tattoos. - Probably insects. A lot of people can't really understand what would appeal to me about them but I just find them fascinating! - Probably a little farmhouse-style kitchen. 3. What is your favourite alternative fashion style other than vintage? 8. Favourite celebrity, past or present? 10. Do you think you will continue blogging in the future? 11. Can you recommend a blog for me to read and/or a vintage store for me to check out? And finally the 11 people who I'd like to nominate. For the most part I have no idea whether these people have less than 200 followers or not, but I've just tried to choose 11 people that I have not nominated in the past. Thank you very much for your nomination, I am very honored! Thanks for the nomination! I will post soon. Thank you for the nomination. Sorry, I was at VLV 16 when you sent this out.